2019 Maryland festivals – The complete list of all the best Maryland festivals in 2019 and top MD events this year. The best festivals in the best state in America! 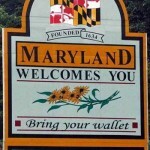 Don’t miss the fun in Maryland! You get to plan your time in advance and know what’s what when it comes to MD events. Don’t let the party stop this fall! All the top 2019 Maryland festivals, top things to do in Maryland, and the hottest events in MD in 2019. Top 2019 Maryland festivals and summer events in July that you cannot miss! Top things to do in Maryland this July. First Sunday Arts Festival in Annapolis, MD is a amazing art festival you don’t want to miss today. Little Italy Open Air Film Fest in Baltimore, MD is a amazing fair you don’t want to miss today. Common Ground on the Hill Roots Music and Arts Festival in Westminister, MD is a unbelievable fest you don’t want to miss today. Featherstones Family Music Jam and Movie Festival in the Park in Baltimore, MD is a great fair you don’t want to miss today. Nextival in Crownsville, MD is a amazing festival you don’t want to miss today. Potomac Jazz and Seafood Festival in Coltons Point, MD is a great art festival you don’t want to miss today. Baltimore/DC One Caribbean Carnival in Baltimore, MD is a unforgettable art festival you don’t want to miss today. Baltimore/Washington One Caribbean Carnival in Baltimore, MD is a unforgettable fair you don’t want to miss today. Jamaica Day Reggae Festival in West Friendship, MD is a unforgettable fair you don’t want to miss today. Warped Tour in Columbia, MD is a great festival you don’t want to miss today. Artscape Festival in Baltimore, MD is a great festival you don’t want to miss today. Galactic Con in Columbia, MD is a great festival you don’t want to miss today. Harford Friends School Blueberry Festival in Darlington, MD is a great fest you don’t want to miss today. Ocean City Greek Festival in Ocean City, MD is a unbelievable festival you don’t want to miss today. The craziest free arts festival in the USA for over 30 years, the three-day Artscape event attracts more than 360,000 enthusiasts every year to enjoy the work of hundreds of fine artists, artists, fashion designers and craftspeople. Highlighting the event is a wealth of performing arts including dance, opera, theater, film, experimental music, live concerts on outdoor stages and the Baltimore Symphony Orchestra. Family oriented events include the ever popular hands-on projects for children, demonstrations, competitions, children’s entertainers and street theater, and of course the international menu of food and beverages. Beginning with an Independence Day Parade through the city’s downtown area, the celebrations continue with the band concert at City Dock followed by the fireworks launched from a barge in the Annapolis Harbor. Generally, the best viewing areas from City Dock will be at Susan Campbell Park. The world’s craziest bill fish tournament, the White Marlin Open is an event that can be fun and exciting for the spectators as well as the anglers. All fish must be weighed on the official scale at Harbour Island each day of the tournament from 4 to 9:15pm and the weigh-ins are open to the public free of charge. As the week goes on, the suspense builds, as potential lottery sized fortunes change hands with a tip of the scale. There are prizes for catching white marlin, blue marlin, tuna, wahoo, dolphin and shark. Between 300 and 400 boats participate each year for $3.5-million in prize money. Here are the best of the best festivals and events in September 2019. Western Maryland Street Rod Round-Up – The Western Maryland Street Rod Round-Up is a great event held in Cumberland on September 2, 2019 to September 4, 2019. National Hard Crab Derby – The National Hard Crab Derby is a great event held in Crisfield on September 2, 2019 to September 4, 2019. Monty Alexander Jazz Festival – The Monty Alexander Jazz Festival is a great event held in Easton on September 2, 2019 to September 4, 2019. Greenbelt Labor Day Festival – The Greenbelt Labor Day Festival is a great event held in Greenbelt on September 2, 2019 to September 5, 2019. Skipjack Festival – The Skipjack Festival is a great event held in Deal Island on September 3, 2019 to September 5, 2019. Prince George’s County Fair – The Prince George’s County Fair is a great event held in Fort Washington on September 8, 2019 to September 11, 2019. Boonesborough Days – The Boonesborough Days is a great event held in Boonsboro on September 10, 2019 to September 11, 2019. Stanstock – The Stanstock is a great event held in Parkville on September 10, 2019 to September 11, 2019. Maryland Seafood Festival – The Maryland Seafood Festival is a great event held in Annapolis on September 10, 2019 to September 11, 2019. Reisterstown Festival – The Reisterstown Festival is a great event held in Reisterstown on September 10, 2019 to September 11, 2019. Howard County Fall Home Show – The Howard County Fall Home Show is a great event held in Clarksville on September 10, 2019 to September 11, 2019. Anne Arundel County Fair – The Anne Arundel County Fair is a great event held in Crownsville on September 14, 2019 to September 18, 2019. Mid-Atlantic Nostalgia Convention – The Mid-Atlantic Nostalgia Convention is a great event held in Hunt Valley on September 15, 2019 to September 17, 2019. Charles County Fair – The Charles County Fair is a great event held in La Plata on September 15, 2019 to September 18, 2019. Elkton Fall Fest – The Elkton Fall Fest is a great event held in Elkton on September 16, 2019 to September 17, 2019. Wee-Cycle Mart – Anne Arundel County – The Wee-Cycle Mart – Anne Arundel County is a great event held in Glen Burnie on September 16, 2019 to September 18, 2019. Great Frederick Fair – The Great Frederick Fair is a great event held in Frederick on September 16, 2019 to September 24, 2019. Maryland Wine Festival(r) – The Maryland Wine Festival(r) is a great event held in Westminster on September 17, 2019 to September 18, 2019. Artsfest ’16 – The Artsfest ’16 is a great event held in Dowell on September 17, 2019 to September 18, 2019. Perry Hall Apple Festival – The Perry Hall Apple Festival is a great event held in Perry Hall on September 17, 2019 to September 18, 2019. Bel Air Festival For the Arts – The Bel Air Festival For the Arts is a great event held in Bel Air on September 18, 2019 to September 19, 2019. Ocean City Sunfest – The Ocean City Sunfest is a great event held in Ocean City on September 22, 2019 to September 25, 2019. Westminster Fallfest – The Westminster Fallfest is a great event held in Westminster on September 22, 2019 to September 25, 2019. Hometown Get Down – The Hometown Get Down is a great event held in Clarksburg on September 23, 2019 to September 24, 2019. Baltimore Book Festival – The Baltimore Book Festival is a great event held in Baltimore on September 23, 2019 to September 25, 2019. Fall Harvest Festival – The Fall Harvest Festival is a great event held in Havre de Grace on September 24, 2019 to September 25, 2019. Howard County Farm Heritage Days – The Howard County Farm Heritage Days is a great event held in West Friendship on September 24, 2019 to September 25, 2019. Annapolis Fall Home and Remodeling Expo – The Annapolis Fall Home and Remodeling Expo is a great event held in Annapolis on September 24, 2019 to September 25, 2019. Forty-Second Smithsburg Steam Engine and Craft Show – The Forty-Second Smithsburg Steam Engine and Craft Show is a great event held in Smithsburg on September 24, 2019 to September 25, 2019. Calvert County Fair – The Calvert County Fair is a great event held in Prince Frederick on September 28, 2019 to October 2, 2019. Wine Fest on the Beach – The Wine Fest on the Beach is a great event held in Ocean City on September 30, 2019 to October 1, 2019. Fell’s Point Fun Festival – The Fell’s Point Fun Festival is a great event held in Baltimore on September 30, 2019 to October 2, 2019. National Red Bull Flugtag is a home-made flying machine competition. No experience is necessary. Baltimore Book Festival features hundreds of appearances by local, celebrity and nationally known authors, book signings, more than 100 exhibitors and booksellers, nonstop readings on multiple stages. Oktoberfest is Montgomery County Maryland’s flagship Upcounty event at which people from all over come together to celebrate the community and heritage. Germantown Oktoberfest offers a wonderful, fun-filled day of live music and performances, delicious food, kids’ games and inflatables, exhibits by local crafters and businesses, the ever-famous Germantown Oktoberfest Biergarten, and a spectacular display of fireworks to end a perfect day. Just one of many of the USA’s popular Renaissance events, the Maryland Renaissance Festival has been a popular and hugely attended event for over 36 years, and features within the Renaissance era village a wide selection of musicians, a king and a queen and their knights, choral groups, craftspeople and artisans including glass blowers and merchants and special events such as jousting competitions, a weekend focussing on a Scottish Celebration and even a weekend all about pirates. We double dare you to walk the streets and learn more about the past inhabitants of this historic milltown – one of the oldest and most haunted locales in America! This is the ultimate weekend for the sophisticated sportsman or art lover. Twelve venues throughout Easton feature world-class wildlife paintings, sculpture, carvings and photos. There are collectible decoys, sporting gear and adventures to delight every outdoorsman. A wine tasting pavilion is not to be missed. Also scheduled are World Championship Calling Contests, decoy auctions, retriever, fly-fishing and stunt dog demonstrations, kid’s activities, and evening concerts. A festive atmosphere topped by great food and music make this event a “must each November. The craziest holiday-themed event in the Mid-Atlantic region, the Festival of Trees features more than 500 beautifully decorated trees, wreaths and gingerbread houses plus holiday crafts shopping at more than 100 craft boutiques, hourly live entertainment and, of course, Santa. The 3-day extravaganza takes place at the Maryland State Fairgrounds. The first Friday of each month Leonardtown retailers, artisans and restaurants offer specials and showcase live music and events. Legendary singer, songwriter and guitarist John Fogerty will perform at the Wicomico Youth and Civic Center on Friday, November 1 at 8:00 p.m.
Bring your well behaved dog to a wine tasting. Baltimore’s Thanksgiving Parade kicks off the holiday season with spectacular floats, gigantic balloons, marching bands, cheerleading teams, and community and cultural groups, and the official arrival of Santa Claus to Baltimore. After the parade, children can stop by Santa’s Place, coordinated by Harborplace and The Gallery, to sit on his lap, share their holiday wishes, and have their picture taken. Now with more than 1,000,000 lights and hundreds of displays, the 1-and-a-half-month celebration draws thousands of visitors to Northside Park at 125th Street and bayside. From mid-November until New Year’s, visitors can see unique light setups befitting a seaside resort, with Surfing Santas, animated Sharks, Santa hooking a Marlin from a charter boat, jumping Marlin, and Santa playing softball. At Northside Park, the centerpiece of the celebration, visitors are welcomed by a magnificent sand sculpture and the city’s 60-foot Christmas tree. The Chesapeake Bay’s craziest Fall Rockfish Tournament – November 23 and 24, Annual Chesapeake Bay Fall Classic…Bring Home An Early Christmas Present! Yes, that’s 50 miles folks — close to running two marathons in a day! The course is beautiful; come out and cheer the runners on! Suburban Maryland Winter Home Show – held January 26, 2019 to January 27, 2019 in Upper Marlboro on 14900 Pennsylvania Ave.
Best words connected to Maryland and our great festivities and celebrations here. Here are your top March Maryland festivals and events you can’t miss out on. Spring Fling Pop Up Shops – will be held at Lakeforest mall in Gaithersburg, MD and held on March 2, 2019 to March 4, 2019. Maryland Home and Garden Show – will be held at Maryland State Fairgrounds in Timonium, MD and held on March 3, 2019 to March 11, 2019. Maryland Spring Craft Show – will be held at Maryland State Fairgrounds in Timonium, MD and held on March 3, 2019 to March 11, 2019. Auxiliary Spring Craft Show – will be held at Jarrettsville Volunteer Fire Company in Jarrettsville, MD and held on March 10, 2019. HBAWC’s Home Show – will be held at Hagerstown Comm. College Rec. Center in Hagerstown, MD and held on March 10, 2019 to March 11, 2019. Baltimore Saint Patrick Parade and Shamrock 5k Race – will be held at Mount Vernon/Inner Harbor in Baltimore, MD and held on March 11, 2019. Home Condo and Outdoor Show with Arts and Crafts Fair – will be held at Roland E. Powell Convention Center in Ocean City, MD and held on March 16, 2019 to March 18, 2019. Frederick Home Show – will be held at The Frederick Fairgrounds in Frederick, MD and held on March 17, 2019 to March 18, 2019. Fine Art Gallery – will be held at Lakeforest mall in Gaithersburg, MD and held on March 19, 2019 to March 29, 2019. Howard County Spring House and Home Expo – will be held at Ten Oaks Ballroom in Clarksville, MD and held on March 24, 2019 to March 25, 2019. Liberty High Spring Craft Fair – will be held at Liberty High School in Eldersburg, MD and held on March 24, 2019. Hair-N-Motion Magazine Release – will be held at Harborside Hotel in Oxon Hill, MD and held on March 25, 2019. Art on Paper National Open Juried Exhibition – will be held at MFA Circle Gallery in Annapolis, MD and held on March 29, 2019 to April 28, 2019. Ocean City Easter Art and Craft and Kids Fair – will be held at Roland E. Powell Convention Center in Ocean City, MD and held on March 30, 2019 to March 31, 2019. Country Crafts Guild Spring Show and Sale – will be held at Fire House in Rock Hall, MD and held on March 31, 2019. Spring Celebration – will be held at Downtown in Berlin, MD and held on March 31, 2019. Maryland festivals in April you cannot miss! Here’s your list of all the top Maryland festivals and events for 2019. These will be shows not to miss. African American Children’s Book Fair in Baltimore is one of the top Maryland festivals and is a amazing art festival you don’t want to miss today. Baltimore Wine and Food Festival in Baltimore is one of the top Maryland festivals and is a unforgettable festival you don’t want to miss today. Color Vibe in Eklton, MD is a unbelievable celebration you don’t want to miss today. Naptown barBAYq Contest and Music Festival in Crownsville, MD is a unforgettable fest you don’t want to miss today. Holi DC in Potomac, MD is a amazing culture festival you don’t want to miss today. Ocean City Springfest in Ocean City, MD is a unforgettable fest you don’t want to miss today. Southern Maryland Spring Festival in Leonardtown, MD is a unforgettable art festival you don’t want to miss today. Towson Gardens Day in Baltimore is one of the top Maryland festivals and is a great fest you don’t want to miss today. Decoy and Wildlife Art Festival in Havre de Grace, MD is a great celebration you don’t want to miss today. FlowerMart Festival in Baltimore is one of the top Maryland festivals and is a unforgettable festival you don’t want to miss today. A-Rts at Rockville Town Square in Rockville, MD is a unforgettable fair you don’t want to miss today. Annmarie Antique and Flea Faire in Dowell, MD is a unforgettable music festival you don’t want to miss today. Dublin Country Fair in Street, MD is a great music festival you don’t want to miss today. Galena Dogwood Festival in Galena, MD is a amazing celebration you don’t want to miss today. Jazz and Blues Bash in Berlin, MD is a great festival you don’t want to miss today. Maryland Sheep and Wool Festival in West Friendship, MD is a amazing celebration you don’t want to miss today. Naptown Barbayq Contest and Music Festival in Crownsville, MD is a unbelievable food festival you don’t want to miss today. OLF Pre-Mother’s Day Craft Show in Millersville, MD is a unbelievable food festival you don’t want to miss today. Paradise Festivus in Catonsville, MD is a unbelievable festival you don’t want to miss today. Towsontown Spring Festival in Towson, MD is a amazing fair you don’t want to miss today. Ferndale Day in Glen Burnie, MD is a unforgettable celebration you don’t want to miss today. Fiesta Asia @ Silver Spring in Silver Spring, MD is a unforgettable food festival you don’t want to miss today. First Sunday Arts Festival – May in Annapolis, MD is a unforgettable fair you don’t want to miss today. Silver Spring Arts and Crafts Spring Fair in Silver Spring, MD is a amazing fest you don’t want to miss today. Sykesville Fine Art and Wine Tasting Festival in Sykesville, MD is a amazing festival you don’t want to miss today. Active Aging Expo in Gaithersburg, MD is a amazing festival you don’t want to miss today. Charm City Comedy Festival in Baltimore is one of the top Maryland festivals and is a great art festival you don’t want to miss today. AB Events Fine Like Wine in Lutherville-Timonium, MD is a unforgettable music festival you don’t want to miss today. Aspen Hill Twinbrook Community Craft Fair in Rockville, MD is a amazing festival you don’t want to miss today. Bethesda Fine Arts Festival in Bethesda, MD is a amazing culture festival you don’t want to miss today. Green Man Festival in Greenbelt, MD is a unbelievable art festival you don’t want to miss today. Hollywood Rescue Squad Bluegrass Festival in Leonardtown, MD is a unforgettable art festival you don’t want to miss today. Karmafest – the Big Show in Cockeysville, MD is a unbelievable art festival you don’t want to miss today. Laurel Main Street Festival in Laurel, MD is a amazing music festival you don’t want to miss today. Marietta Wine Festival in Glenn Dale, MD is a unforgettable culture festival you don’t want to miss today. Maryland Craft Beer Festival in Frederick, MD is a great music festival you don’t want to miss today. Pile of Craft in Baltimore is one of the top Maryland festivals and is a unbelievable food festival you don’t want to miss today. Reisterstown Bloomin’ Artfest in Reisterstown, MD is a great celebration you don’t want to miss today. Seventeenth Mid-Maryland Celtic Festival in Mount Airy, MD is a amazing music festival you don’t want to miss today. Somerset Strawberry Festival in Marion Station, MD is a amazing food festival you don’t want to miss today. Soul Purpose Productions KarmaFest in Cockeysville, MD is a unforgettable art festival you don’t want to miss today. Spring Fair in Clinton, MD is a amazing fest you don’t want to miss today. Tenth Calvert Arts Festival in Sunderland, MD is a unbelievable fair you don’t want to miss today. Westminster Flower and Jazz Festival held in Westminster is one of the elite Maryland festivals and is a amazing music festival you don’t want to miss today. Preakness Celebration in Baltimore is one of the top Maryland festivals and is a unbelievable culture festival you don’t want to miss today. Saint Charles Town Ctr Women and Children’s Show in Waldorf, MD is a amazing art festival you don’t want to miss today. Chesapeake Bay Blues Festival in Annapolis, MD is a unforgettable music festival you don’t want to miss today. Color Me Spring in Middletown, MD is a unbelievable festival you don’t want to miss today. Gaithersburg Book Festival in Gaithersburg, MD is a unforgettable music festival you don’t want to miss today. Oxford Fine Arts Fair in Oxford, MD is a amazing food festival you don’t want to miss today. Capitol Pet Expo in Upper Marlboro, MD is a unforgettable food festival you don’t want to miss today. Gateway Gathering and Music Festival in Middle River, MD is a great culture festival you don’t want to miss today. Maryland Film Festival in Baltimore is one of the top Maryland festivals and is a unforgettable fair you don’t want to miss today. Top Maryland festivals and June events you can’t miss. Bethesda Painting Awards in Bethesda, MD is a amazing festival you don’t want to miss today. Thursday Morning Childrens’ Concerts in Gaithersburg, MD is a unbelievable food festival you don’t want to miss today. Western Maryland Blues Fest in Hagerstown, MD is a unbelievable music festival you don’t want to miss today. Capital Jazz Fest in Columbia, MD is a amazing food festival you don’t want to miss today. Frederick Festival of the Arts in Frederick, MD is a great festival you don’t want to miss today. Bowiefest in Bowie, MD is a great culture festival you don’t want to miss today. Charles Village Festival in Baltimore is one of the top Maryland festivals and is a amazing celebration you don’t want to miss today. Deer Creek Fiddler’s Convention held in Westminster is one of the elite Maryland festivals and is a unforgettable fair you don’t want to miss today. Great Grapes! Wine Arts and Food Festival Hunt Valley in Hunt Valley, MD is a unforgettable fair you don’t want to miss today. Hacking History in Havre de Grace, MD is a amazing culture festival you don’t want to miss today. Imagination Bethesda in Bethesda, MD is a unbelievable art festival you don’t want to miss today. Saint Lukes Methodist Strawberry Festival in Saint Michaels, MD is a great music festival you don’t want to miss today. Savage Fest in Savage, MD is a unforgettable food festival you don’t want to miss today. Southern Maryland Blue Crabs Boosters Yard and Craft in Waldorf, MD is a unbelievable food festival you don’t want to miss today. Strawberry Festival in Sykesville, MD is a unforgettable art festival you don’t want to miss today. Westminster Art in the Park held in Westminster is one of the elite Maryland festivals and is a amazing art festival you don’t want to miss today. First Sunday Arts Festival – June in Annapolis, MD is a unforgettable celebration you don’t want to miss today. JCC Community Block Party in Owings Mills, MD is a great fair you don’t want to miss today. Original British Car Day in Adamstown, MD is a great festival you don’t want to miss today. Bless the Woods in Fairplay, MD is a unbelievable celebration you don’t want to miss today. Saint Nicholas Greek Folk Festival in Baltimore is one of the top Maryland festivals and is a unforgettable culture festival you don’t want to miss today. Annapolis Arts Crafts and Wine Festival in Annapolis, MD is a great culture festival you don’t want to miss today. Beltway BBQ Showdown in Fort Washington, MD is a unbelievable food festival you don’t want to miss today. Cumberland Heritage Days in Cumberland, MD is a amazing festival you don’t want to miss today. Gala in the Garden in Hollywood, MD is a amazing music festival you don’t want to miss today. Opening Days of Summer held in Westminster is one of the elite Maryland festivals and is a amazing food festival you don’t want to miss today. Piney Orchard Street Festival in Odenton, MD is a great culture festival you don’t want to miss today. Saint Mary’s Crab Festival in Leonardtown, MD is a amazing art festival you don’t want to miss today. Southern Maryland Acoustic Music Assembly in Dowell, MD is a great culture festival you don’t want to miss today. Columbia Festival of the Arts in Columbia, MD is a unforgettable fest you don’t want to miss today. Beer Bourbon and BBQ Festival National Harbor in Oxon Hill, MD is a great celebration you don’t want to miss today. Cypress Festival in Pocomoke City, MD is a unbelievable culture festival you don’t want to miss today. Invitational Fine Arts and Crafts Show in Columbia, MD is a unbelievable culture festival you don’t want to miss today. Takoma Park Jazzfest in Takoma Park, MD is a amazing celebration you don’t want to miss today. African American Heritage Celebration in Lexington Park, MD is a unbelievable music festival you don’t want to miss today. Mid-Atlantic Regional Watercolor Exhibition in Germantown, MD is a unbelievable culture festival you don’t want to miss today. Art in the Park in Montgomery Village, MD is a amazing fest you don’t want to miss today. Timonium International Gem and Jewelry Show in Timonium, MD is a unforgettable celebration you don’t want to miss today. Arts Alive in Ocean City, MD is a unbelievable music festival you don’t want to miss today. Oldtown Summer Fest in Oldtown, MD is a unforgettable music festival you don’t want to miss today. Town Fair in Baltimore is one of the top Maryland festivals and is a amazing art festival you don’t want to miss today. Dundalk Heritage Fair in Dundalk, MD is a unbelievable fair you don’t want to miss today. Federal Hill Jazz and Blues Festival in Baltimore is one of the top Maryland festivals and is a unforgettable fair you don’t want to miss today. First Sunday Arts Festival in Annapolis, MD is a great music festival you don’t want to miss today. Dreamscape Festival in Darlington, MD is a unforgettable food festival you don’t want to miss today. Featherstones Family Music Jam and Movie Festival in the Park in Baltimore is one of the top Maryland festivals and is a unforgettable music festival you don’t want to miss today. Maryland Traditions Folklife Festival in Baltimore is one of the top Maryland festivals and is a unforgettable art festival you don’t want to miss today. Festival Baltimore in Baltimore is one of the top Maryland festivals and is a unbelievable celebration you don’t want to miss today. Beer Bourbon and BBQ Festival in Oxon Hill, MD is a unforgettable music festival you don’t want to miss today. Academy Art Museum Juneteenth Celebration in Easton, MD is a unbelievable festival you don’t want to miss today. Baltimore Pride in Baltimore is one of the top Maryland festivals and is a great art festival you don’t want to miss today. Capital Jazz Fest in Columbia, MD is a unforgettable fest you don’t want to miss today. BAFC in Aquasco, MD is a unbelievable festival you don’t want to miss today. Chesapeake Crab and Beer Festival in Baltimore is one of the top Maryland festivals and is a unbelievable celebration you don’t want to miss today. Historic St. Mary’s City BeerFest in Saint Mary’s City, MD is a amazing music festival you don’t want to miss today. Shore Craft Beer Fest in Salisbury, MD is a great food festival you don’t want to miss today. Sprout Touring Film Festival in Ellicott City, MD is a unbelievable food festival you don’t want to miss today. Blunderbuss Music Fest in Baltimore is one of the top Maryland festivals and is a amazing music festival you don’t want to miss today. EBLO LatinoFest in Baltimore is one of the top Maryland festivals and is a unbelievable food festival you don’t want to miss today. Foam Glow 5K in Fort Washington, MD is a amazing food festival you don’t want to miss today. Levitt AMP Music Series in Frederick, MD is a unbelievable celebration you don’t want to miss today. Little Italy Open Air Film Fest in Baltimore is one of the top Maryland festivals and is a unforgettable celebration you don’t want to miss today. Great Grapes! Wine and Food Festival in Cockeysville, MD is a amazing art festival you don’t want to miss today. St. Nicholas Greek Folk Festival in Baltimore is one of the top Maryland festivals and is a amazing music festival you don’t want to miss today.